Nuclear medicine technology has been a fascinating subject ever since the early rectilinear scanner produced images, and is becoming ever more interesting (and demanding) with the growth of positron emission tomography and other molecular imaging. 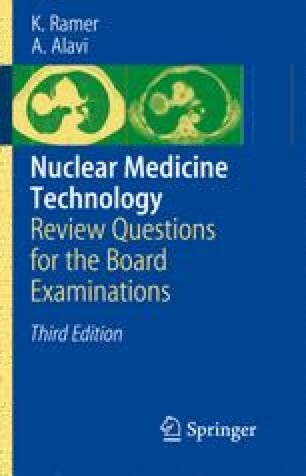 Taking and passing the exam offered by the Nuclear Medicine Technology Certifi cation Board (NMTCB), or that offered by the American Registry of Radiologic Technologists (ARRT), is the fi nal step in reaching the status of Nuclear Medicine Technologist. These exams are both challenging and the breadth of knowledge that they cover mean that a thorough review is in order before attempting either exam.